Many business transactions among individuals and businesses require expertise in both accounting and law. Hiring an accountant and lawyer separately may be inconvenient and expensive. An alternative to requiring dual professionals is to specialize a law degree in accounting. That allows one individual to handle both aspects of the transaction. The client only deals with one firm, and the accountant/lawyer receives professional fees for both types of work. One path to dual qualifications is to get degrees in both disciplines. This occurs in two primary ways. An individual with a bachelor’s degree in accounting may use that degree as the basis for applying to law school. Alternatively, some universities provide a true dual-degree program where an individual pursues a master’s degree in accounting and a law degree at the same time, according to US News and World Report. This method allows an individual to get two degrees at a lower cost and with fewer total credit hours than getting the two degrees separately. Generally, the only two types of lawyers who can advertise themselves as “specialists” are tax lawyers and patent lawyers who have gone beyond traditional law school and passed a separate bar exam in the specialized area. For tax lawyers, the advanced degree, referred to as an LL.M., generally requires one additional year of school after the individual has earned his or her J.D. degree and passed the regular bar exam. The value of going the extra step to get an LL.M. will depend on where an individual works; some firms see an LL.M. as almost a requirement, while others say an LL.M. provides no advantage, according to the LL.M. Guide. Many law school students who anticipate working in accounting or business tailor their law school experience toward that end by taking courses that support the dual disciplines. Courses offered, and the titles of those courses, vary from law school to law school. Generally, a law school student will be required to take one or two semesters of contract law. This provides a good understanding of the formation and enforceability of contracts which an accountant will also review for financial terms. Most law schools also require a class in corporation law; it may be called Business Associations, Corporations or a similar term. Again, this course provides a valuable background in the legal underpinnings of the entities that will require accounting services for everyday operations and negotiating big deals. Individuals with no background in accounting may consider courses such as Introduction to Accounting, Corporate Financial Reports, and Business Strategy for Lawyers. 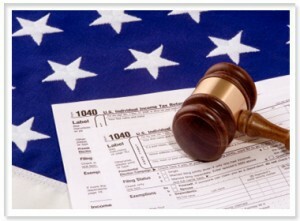 Two important fields for lawyers desiring accounting expertise are taxation and estate planning and administration. Generally, a law school will offer multiple courses in federal tax, often a tax theory course as well as a “how-to” class in federal tax procedure. In addition to the basic accounting-related classes, a lawyer who wants to provide accounting services in estate planning and administration should consider courses in trusts and estates, estate planning, and bankruptcy. Whether through the use of formal joint degree programs or simply by careful selection of courses in law school, an individual can specialize a law degree in accounting. The result should be increased marketability to law firms with extensive tax practices as well as to corporations and other entities seeking in-house counsel on financial matters.